I have found an awesome deal with a great price £3.50! You can get it from www.wilko.com. The Nivea Get Up & Glow gift set is the perfect way to start the day. 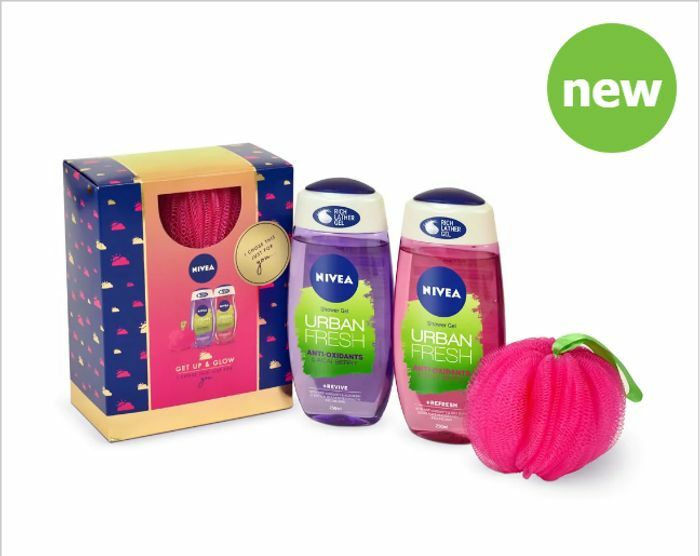 This set includes two refreshing shower gels and pink shower pouffe. Revive skin with the Urban Fresh Antioxidants & Acai Berry shower gel and refresh the sense with Urban Fresh Antioxidants & Goji Berry shower gel. Great deal with lovely price!